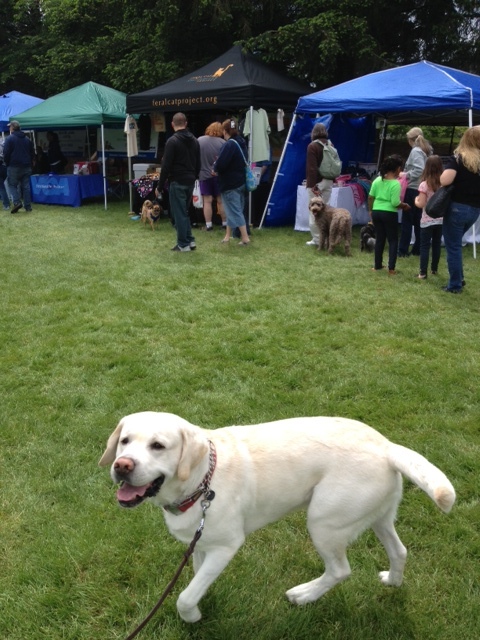 Petpalooza in Auburn! Whoo Hoo! Free treats! 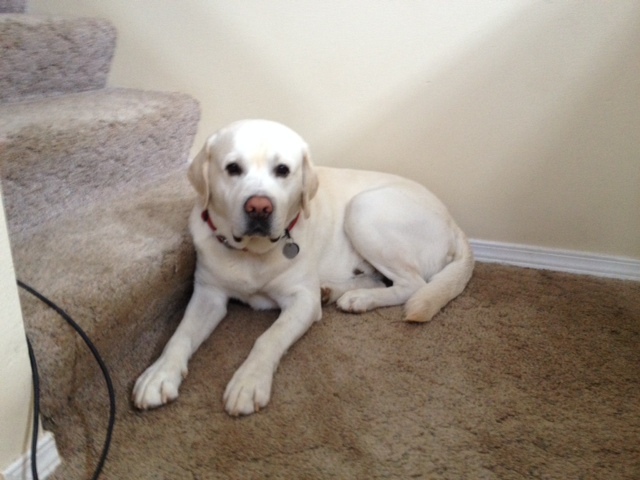 What more could a Labrador ask for? 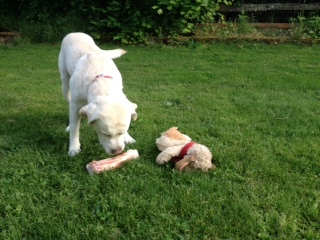 Mongo enjoying a big marrow bone with best buddy, Puppy, in the backyard. Dad and Mongo went for a big hike up to Little Ranger Peak. 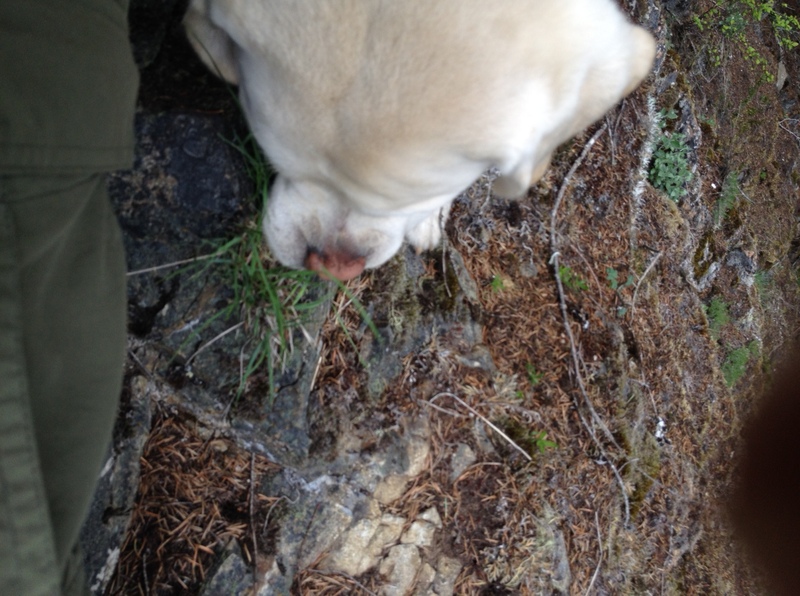 The book of Best Hikes With Dogs said it was supposed to be a 5 mile out and back. Dad and Mongo started in a different place from the book. So it took a little longer, maybe… 10 miles. 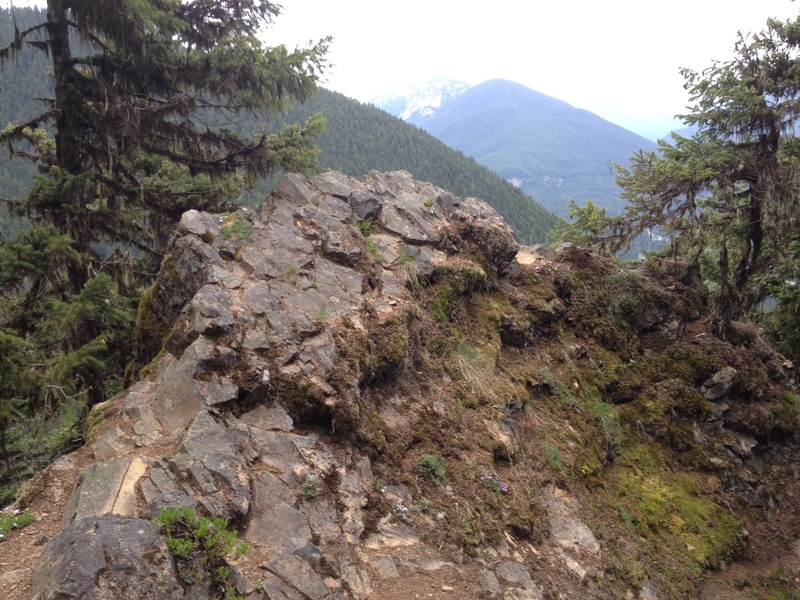 Lots of vertical on this hike . 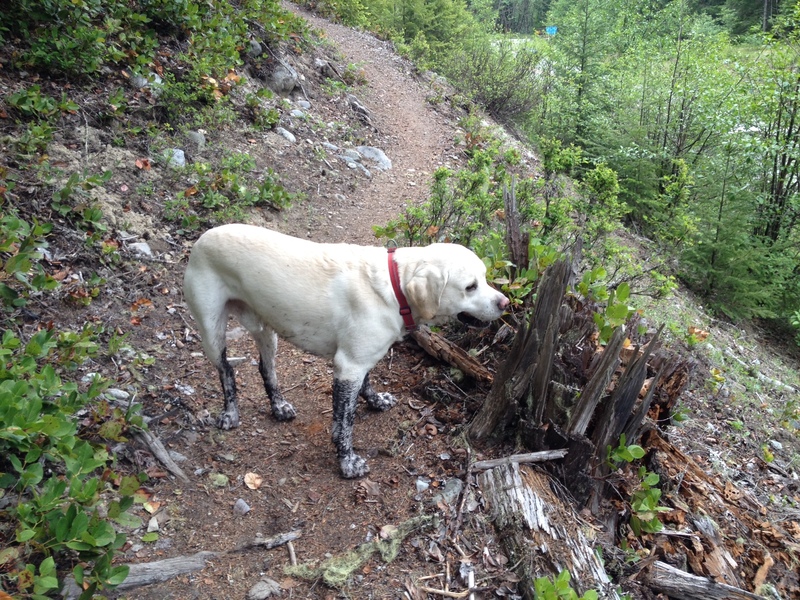 We had much fun romping thru the mud, and we even saw our first WA mule deer. 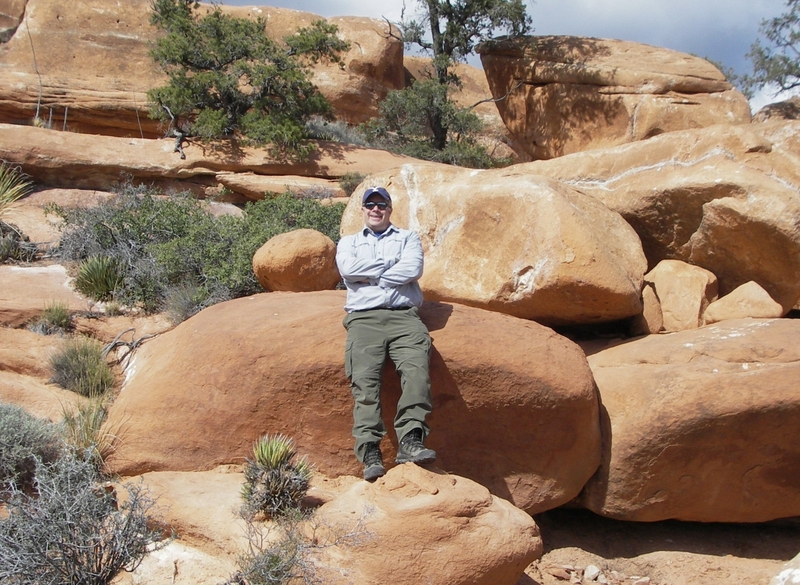 Dad went to hike in the Grand Canyon the last week of April. 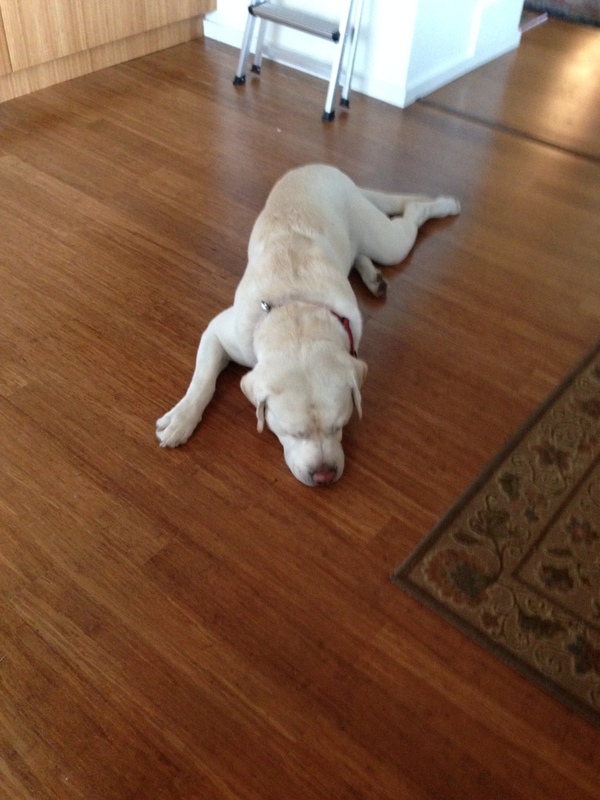 Poor Mongo had to stay home.